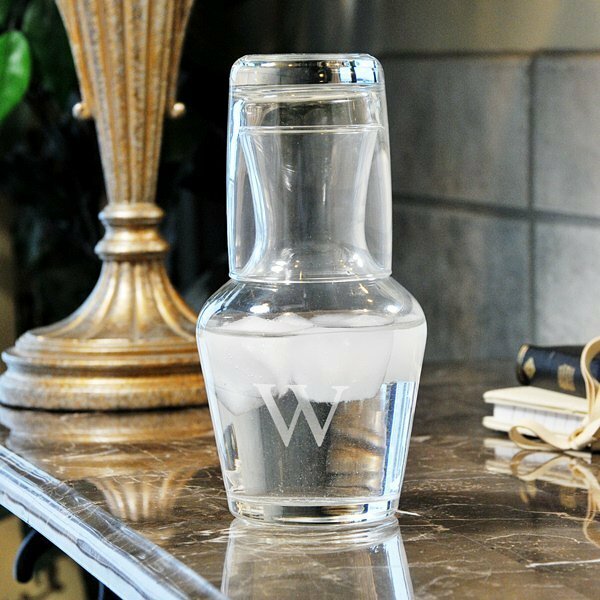 Accent a night stand or end table with this distinguished Bedside Water Carafe Set. 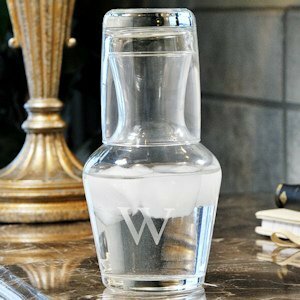 The set includes a Carafe and Glass and features a distinguished look and multi-purpose use. 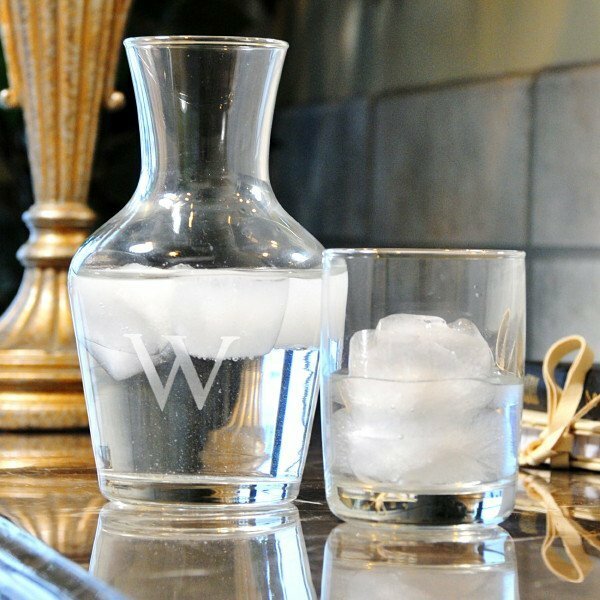 A cool drink will never be far from hand! 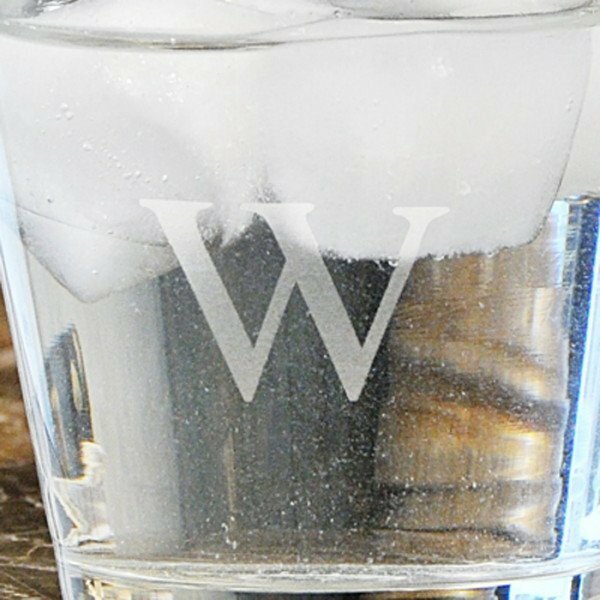 This classic pair is dishwasher safe and makes a great gift for all occasions when engraved with a single initial at no extra cost. Measures 7.5" high (with glass). Carafe holds up to 16.75 ounces. Glass holds up to 8 ounces. Note: Hand Blown glass may contain small bubbles.